SACKETS HARBOR—Barbara Marie (Carter) O’Brien, Military Rd., Sackets Harbor, died at home Friday, 5 April 2019, from a recurrence of cancer, surrounded by her loving family. She was 85. Arrangements have been entrusted to Cleveland Funeral Home Inc. Watertown, NY. Barbara was born 17 December 1933 in Theresa, the eldest daughter of Austin Sinclair Carter of Clayton and Chelan, Washington, and Dorothy Armenta Fraser of Theresa. Her parents divorced when she was young, and she and her sister, Lila Mae, were raised by their beloved grandparents, John “Johnnie” Farley Fraser and Elsie Dorothy June, on their Theresa farm. From a young age, Barbara and Lila were well-known for their singing and guitar-playing abilities, performing at local hoedowns and barn dances as The Carter Sisters. Their shows were aired weekly on the Boonville radio station, and recordings were sent to Fort Dix, New Jersey, to entertain troops. They performed with several local bands, including The Hoedowners, The Northern Pioneers, and the Jerry McGee Band. Barbara’s voice was often compared to that of Patsy Cline. She once turned down an offer to appear on the Ted Mack Show television talent program in New York City when the producers invited only her, not her band. She was employed in her early years with her sister at Orville Weston’s printing shop in Watertown. She also worked at The Mohican grocery store, Watertown, where she met her lifelong friend Mary “Lucille” Gifford, who survives. A first marriage to Chester Wentling ended in divorce. On 3 July 1963, Barbara married William “Bill” O’Brien, who served in the Canadian Royal Navy. After living briefly in Ohio, they purchased a home on West Washington St., Sackets Harbor, where Barbara owned and operated a beauty shop, befriending many local residents, several of whom became lifelong clients. They later sold their home and moved to a house Bill built on the Military Rd. He passed away on 23 September 1993, after 30 years of marriage. Barbara was an eighth generation Jefferson County resident, and a descendant of many of its earliest settlers, including Moses Cole, Otis Britton, Braddock Carter, and James Kilborn. Her great-grandfather, Michael J. Diepolder, was keeper of Rock Island Lighthouse, Fisher’s Landing, and she was present to hear her grandson speak at its grand re-opening as a state park in 2013. 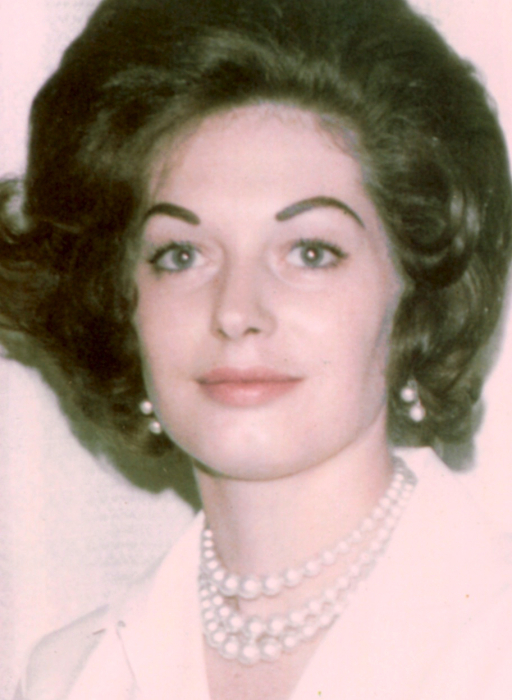 Barbara was predeceased by her parents, and her sister, Lila Mae (Carter) Phillips, and her husband, Bill. She will be dearly missed by her four children: eldest son, Vurlynn R. “Butch” Wentling, Uxbridge, Massachusetts, and wife Sandi; daughter, Debra May “Candy” (Wentling) Brown, Sackets Harbor, and husband, Clifford; son, Michael William O’Brien, Kernersville, North Carolina, and wife, Amy; and daughter, Tina Marie (O’Brien) Falgout, Covington, Louisiana, and husband, Barney. Also surviving are granddaughter, Laura Ann (Wentling) Blanchette, Douglas, Massachusetts, her husband, David, and their sons Joshua David and Chase Mathew; grandson, Mark Avery Wentling, Quincy, Massachusetts; grandson, Shane M. Brown, Watertown, and wife, Danyelle; granddaughter, Sarah R. Brown, Sackets Harbor; grandson Timothy O’Brien Falgout, Covington, and his son Eli O’Brien Falgout; grandson Dustin Paul Falgout, Covington, and his son Wyatt Paul Falgout; granddaughter Lacey Marie (Falgout) Rogers, Folsom, Louisiana, her husband Joshua, and their son William Isaac Rogers; granddaughter Caitlin Jordan O’Brien and grandson Devin Michael O’Brien. She is also survived by many nieces and nephews, including Johnnie Phillips, Dexter, and his wife Bambi, along with many grandnieces and grandnephews. A celebration of life is planned later this year at the American Legion, Sackets Harbor, of which Barbara was a life member. Burial at Lakeside Cemetery, Sackets Harbor, at a later date.